Hume, Moreland and Moonee Valley Councils run planting activities during the winter season and would prefer people to register their attendance on their websites to assist with planning and catering. Check the calendar link above for all of the latest planting dates and details. For all plantings, please wear appropriate clothing and footwear and bring your own gloves and drinking. Children are very welcome when accompanied by an adult. Please keep up to date with all the very latest happenings by visiting our Facebook page, or you can check the back page of the latest Ponderings newsletter. Great news – Moreland City Council has resolved to make an offer for the land and the Council, with the help of FoMPC and others will be lobbying the State Government to ensure the offer is accepted. Great win for the community – Hopetoun Reserve, Brunswick West to remain as open space! MLA for Brunswick, Jane Garrett, today notified the FoMPC the State Government has transferred the section of Hopetoun Ave Reserve parkland, that was to be rezoned and sold, to Moreland Council to be retained as public open space. “A proud community win indeed and congratulations to all involved for the dedication and hard work in maintaining public land for community use” (Jane Garrett 31/3/17). Have a look at some of our achievements, like the re-planting of the Lawson Street Reserve, here. There is always something happening on the information and planning front. FoMPC is regularly involved in submissions or objections to projects that could impact the creek, as well as providing interesting updates. Protecting Victoria’s Environment – Biodiversity 2036.
Review of the Native Vegetation Clearing Regulations. 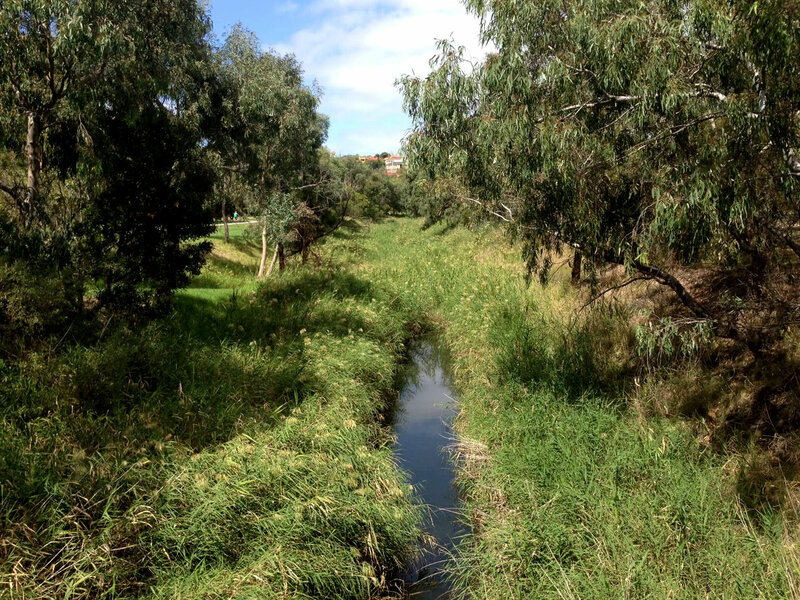 Work is underway on a submission seeking to reinstate a meander in the Moonee Ponds Creek at Westmeadows which was cut off in 1976 in what was then an attempt to improve creek hydrology. Moreland City Council is creating a ‘Living Stream’ at the Herbert St Reserve in Pascoe Vale in another meander cut off when the Moonee Ponds Creek underwent extensive concrete channelisation. Stormwater will be diverted from an existing underground drain through a swale that follows the line of the former creek before entering the creek. The project will enhance habitat and biodiversity and the attractiveness of the reserve. Take a look at Moreland’s Concept Design for more details. Good news regarding the submission to Hume Council on Amendment C202, which was seeking to rezone land close to the Creek in Western Avenue, Westmeadows, predominantly to a Comprehensive Development Zone. Hume Council determined, for the third time, to reject the application for the rezoning of the Westmeadows land. The FoMPC very much welcomed the decision and maintains that the land should remain as a buffer between the Tullamarine Landfill site, residential areas and the Creek. It is important to preserve this section of the Creek as it retains much of its natural character, its ‘chain of ponds’ and old River Red Gums.